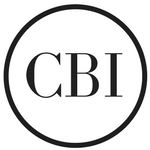 CBI's unique qualities include being millennial-friendly, community oriented, and having ongoing training, a collaborative environment, and a profit sharing program. CBI keeps track of the latest in technology and start-up trends. We adopt and use the latest technologies in order to evolve with the times and maintain being a leader in the commercial real estate (CRE) industry. Real estate tools for our agents are available no matter where they are, allowing them to be productive no matter their location. This allows us to adapt to our clients, who are also constantly busy & on the go. One of CBI’s specialties is creative office space leases. We have experience in dealing with the Silicon Beach community as well as large institutional clients, and know what it takes to ensure that their wants and needs are met. CBI believes in giving back to the communities in which we work. To that end, any agent can donate a portion of their commission to any 501(c)(3) that they believe in, and the company will match their proportionate share of their commission with a like donation. CBI prides itself on having a team of agents that collaborates, whenever prudent, on deals. Unlike other agencies’ agents, CBI agents will share pertinent information with other agents within the company. We also do not have locks on any doors, since we believe an “unlocked and open door” policy promotes trust and accessibility within the office. Ongoing training distinguishes us from the rest of the agencies, providing rookie and experienced agents alike with an opportunity to learn or revisit topics on commercial real estate, including market changes and industry trends. Classes also enable agents to showcase what they know about CRE to their colleagues. All agents are treated equally. This equal treatment extends to the leads the company receives from our marketing to prospective clients. We like to give leads to any agent who is in the office, not just to the top-performing ones. CBI has a unique profit sharing program that allows for vested agents to acquire ownership in investment properties alongside other vested agents. Our profit sharing is not structured as a “golden handcuff” but rather as a way to say thank you to all the agents who have helped to build CBI into the company it is. Our unique approach of running a CRE brokerage enables our agents to succeed and has proven that our Agents will beat the industry norms, many companies are trying to have their agents work as finders/business development and then turn the client over to a closer in their office. CBI agents handle the process from beginning to the close of the transaction and maintain the contact with their client. No person has a more vested interest in closing a transaction, or a better understanding of their client’s needs, than the agent who brought them the deal. Therefore, we believe that in keeping with our Client’s Best Interest that the agent should maintain control throughout the transaction, and this ensures a higher closing percentage. By approaching commercial brokerage from the standpoints mentioned above, CBI looks to become a leader and trendsetter in the commercial real estate industry, changing the expectations of what clients and agents can expect from a commercial brokerage company. Commercial Brokers International is a group of experienced commercial agents that have a strong background in analysis as well as marketing. We believe that our clients' best interests should always be foremost in all of our undertakings. As such, we are committed to creating and maintaining continuing relationships with our clients by formulating extensive marketing and financial plans with our client's short term and long term goals in mind. For more information, visit www.cbicommercial.com.